Students who want to join the lab! 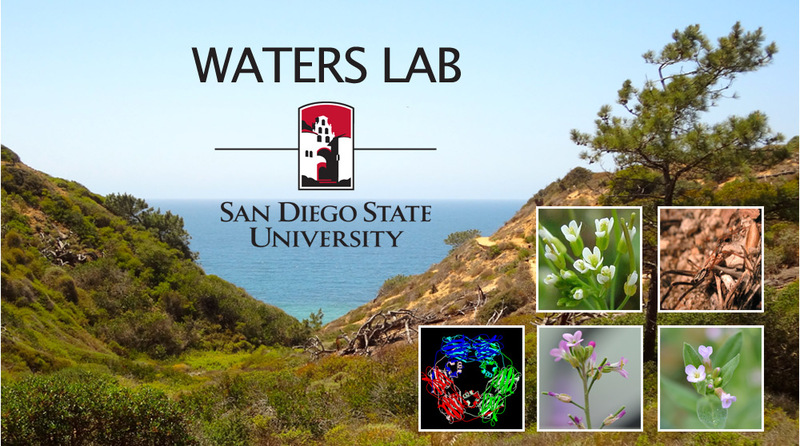 The Waters lab is broadly interested in molecular evolution. Specifically we take a variety of approaches to answer fundamental questions about gene family evolution and the evolution of stress responses. These approaches include experimental studies of gene expression and photosynthesis, evolutionary and phylogenetic analysis of genes and proteins, and bioinformatic analysis of genomic and transcriptomic data. Most of our studies have focused on the evolution of the heat shock proteins and the evolution of thermotolerance. Our lab has examined the evolution of the Hsp100/ClpBs, the Hsp70s and the Hsp20s (small heat shock proteins). We have examined the timing and patterns of heat shock protein evolution and how this relates to major events in plant evolution such the origin of land plants. We are motivated by a drive to understand the forces driving gene family evolution and while many of our studies have focused on plants our research is not limited to plants. Recently we have begun studies of a group of Boechera (Brassicaceae) species that are native to California. The Boechera we are studying each inhabit very different climatic regions and we are examining how these species vary in organismal and cellular responses to abiotic stress.